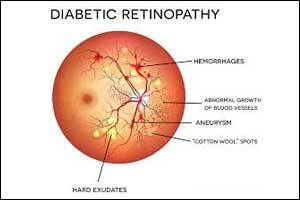 According to a new study, Amodiaquine finds a new role in retinopathy and macular degeneration. In a new study published in the journal PLOS ONE, the researchers have found that the anti-malaria drug amodiaquine inhibits the apelin receptor protein, which helps drive the vascularization behind diabetic retinopathy, wet age-related macular degeneration (AMD) and other conditions. There are drugs to treat wet AMD which act by inhibiting the VEGF;which promotes angiogenesis or blood vessel growth. But unfortunately, these drugs are not universally effective on all the patients. Smith and his associates conducted a study to find molecular compounds that prevented the protein from activating the APJ receptor, a critical link in the apelin pathway. The researchers were aware that apelin helps in embryonic blood vessel development. But, it can be wrongly signalled to cause aberrant vessel growth in adulthood. As a result, finding a good apelin inhibitor could be quite useful. One molecule that proved especially effective against apelin was amodiaquine, which has been used for decades to prevent malaria. Amodiaquine suppressed blood vessel formation through both the apelin and VEGF pathways. In addition, the compound reversed vascular eye damage in animal models. Further study showed the compound blocked the receptor’s function in a unique way. Instead of occupying the site to which apelin binds to activate the receptor, amodiaquine binds to another area, likely changing its conformation and thus inhibiting apelin’s ability to turn it on and drive blood vessel growth. A major advantage of re-tasking an existing drug is that its safety profile is already established. As the drug has been approved to treat malaria for decades, it could move relatively quickly through the pipeline to help patients. Amodiaquine is well- tolerated, though it does cause liver toxicity over time. Smith believes this may not be a problem when treating eye disease, as the compound could be administered exclusively in the eye rather than being given systemically. Neovascularization is the pathological driver of blinding eye diseases such as retinopathy of prematurity, proliferative diabetic retinopathy, and wet age-related macular degeneration. The loss of vision resulting from these diseases significantly impacts the productivity and quality of life of patients and represents a substantial burden on the health care system.